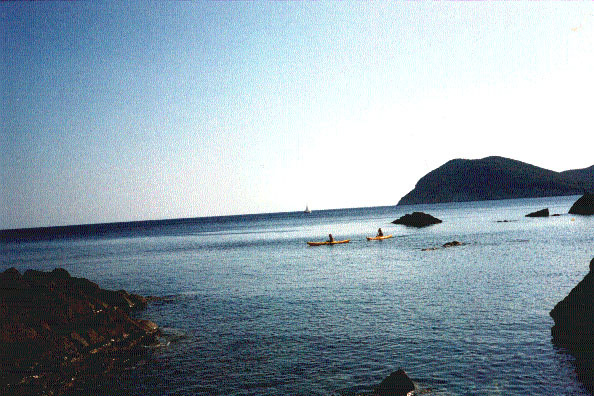 at 700 mt., the bay beneath, called Fonza, reachable also by car, is kept unspoiled and hidden from tourism. 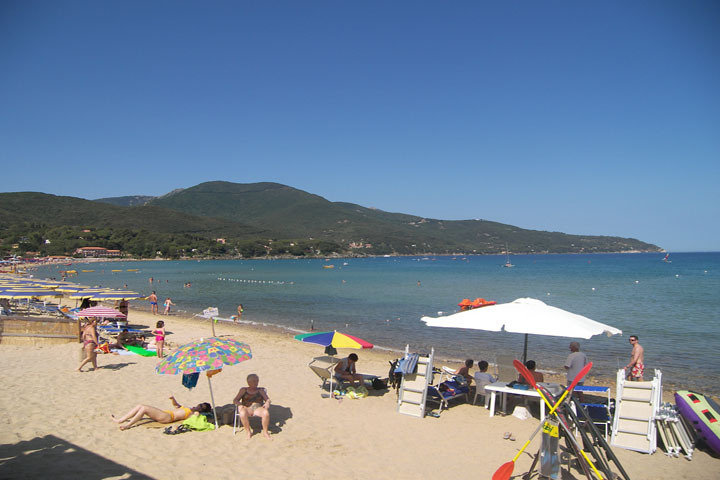 It is a large beach of river cobblestones and sand with low water in the bottom of the sea. The water is shallow and safe for a large portion. 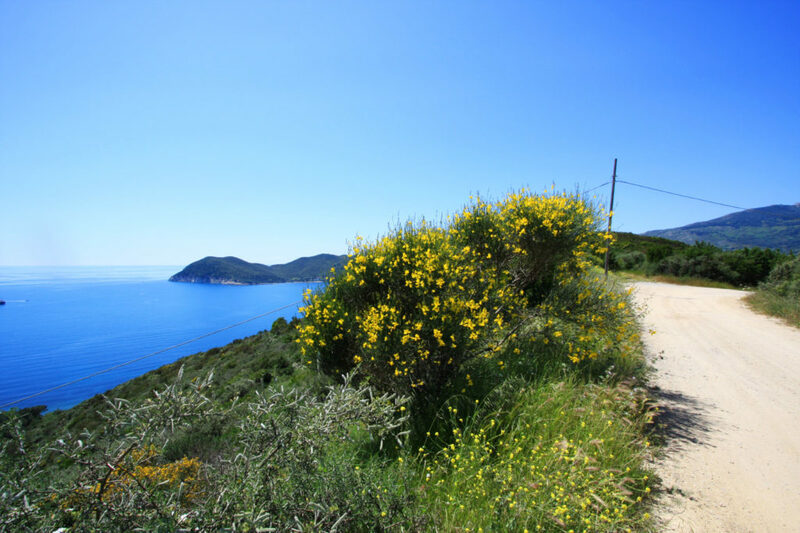 In the bay of Fonza there are only a few villas and the transitable dirt road that leads to the beach is absolutely quiet. at 300 mt. 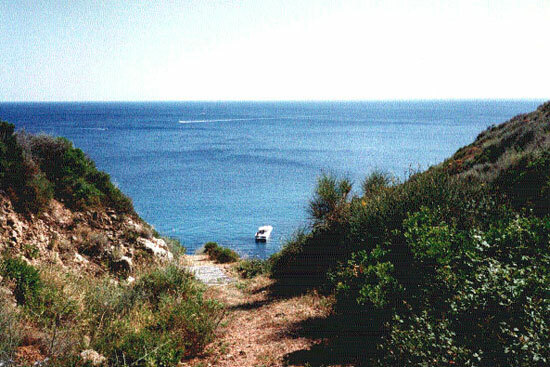 for lovers of wild and unspoiled sea: a path and steps across the private property (not appropriate for small children), lead down to an enchanting secluded inlet among the rocks. A little adventure reaching the sea! 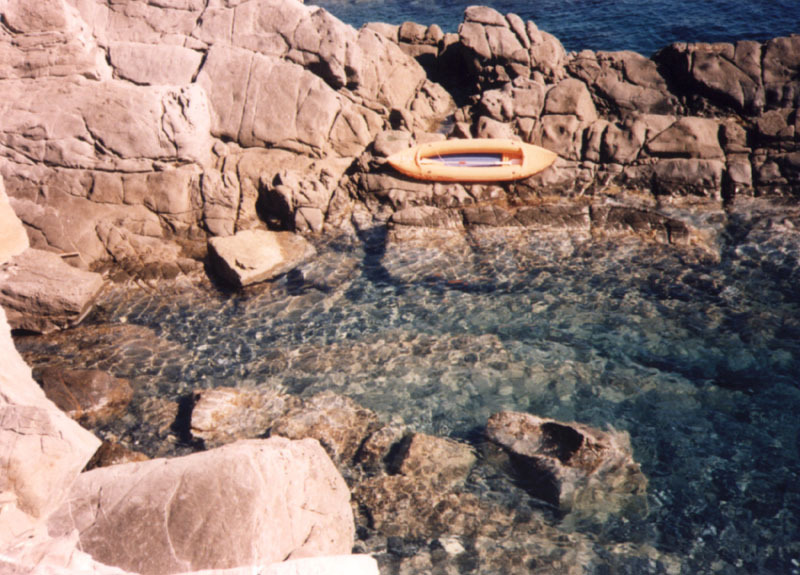 The crystal-clear water has created a natural small swimming pool between the rocks. There are many more of these inlets all around, inviting to dip into the cool refreshing sea or lie on a rock and be caressed by the sun in this heavenly solitude. 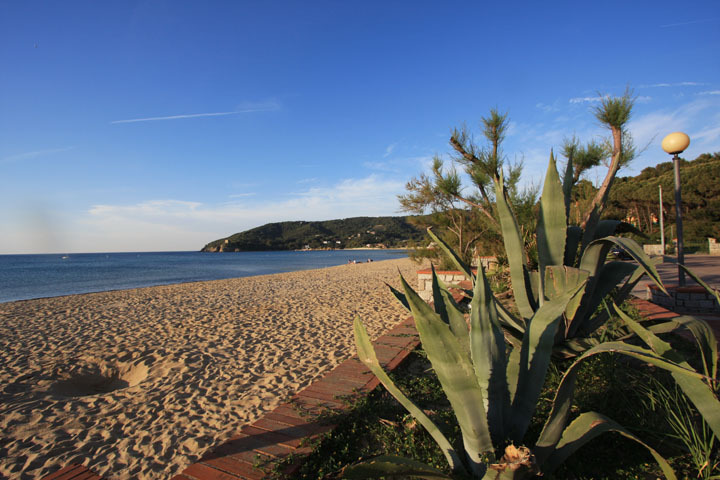 The place is the ideal setting for adults to enjoy a swim in a wild area and enjoy the contact with a beautiful sea. 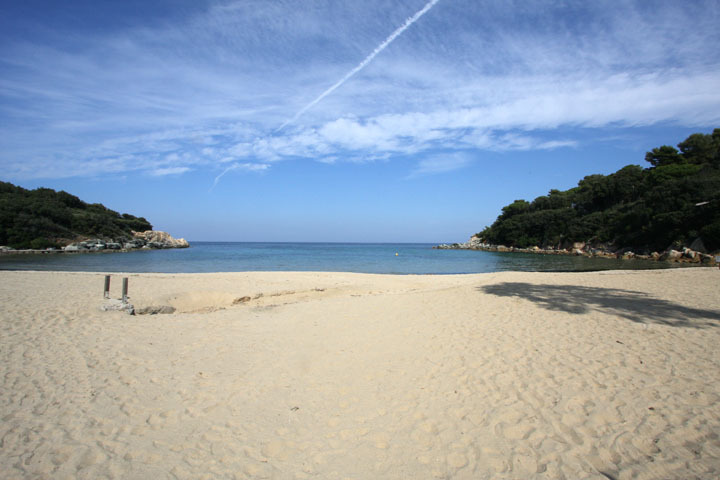 Due to the central position of Cala Bella you may move easily in a few minutes of car both south or north along the coast reaching the best beaches of the island: sand, rocks, unspoiled or crowded sea areas. The secret of the island is following the wind..the possibility to go every day in a different beach or bay, so as to take a good swim with clean water every day. 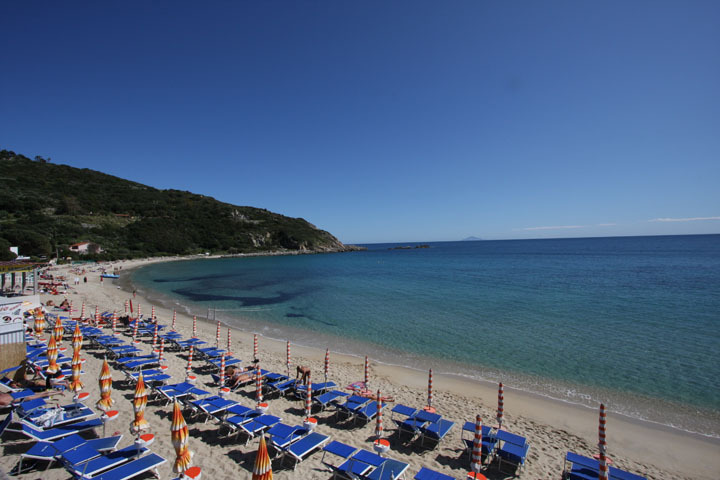 The famous beach of Marina di Campo, Procchio, Cavoli, Fetovaia are from 2 to 6 km as well as the lovely Spartaia, Campo al’Aia , Paolina, il Colle, less touristic but with a few comfort. 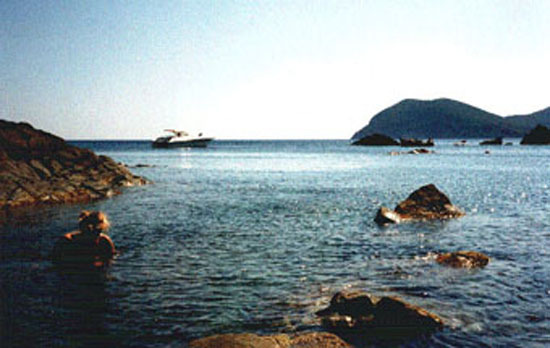 Cala Bella has a strategical location within the island. 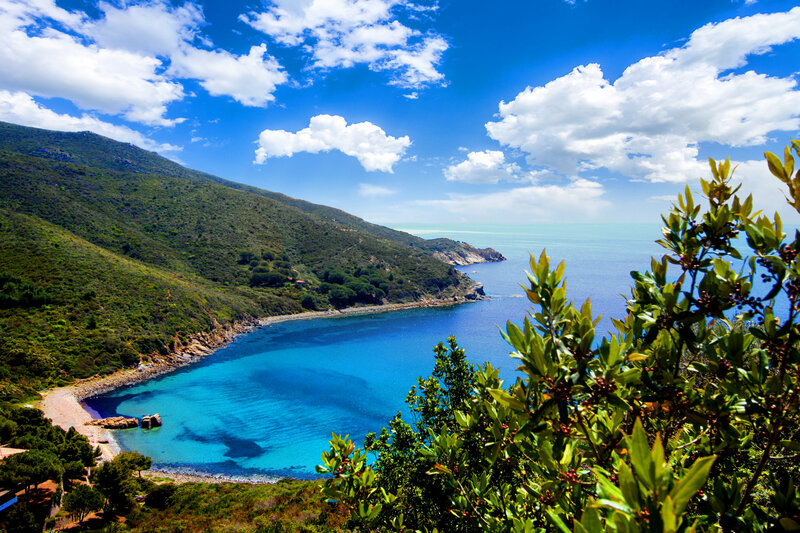 this secluded place is reachable through a transitable dirt road of 1,3 km., hidden in the mediterranean maquis. 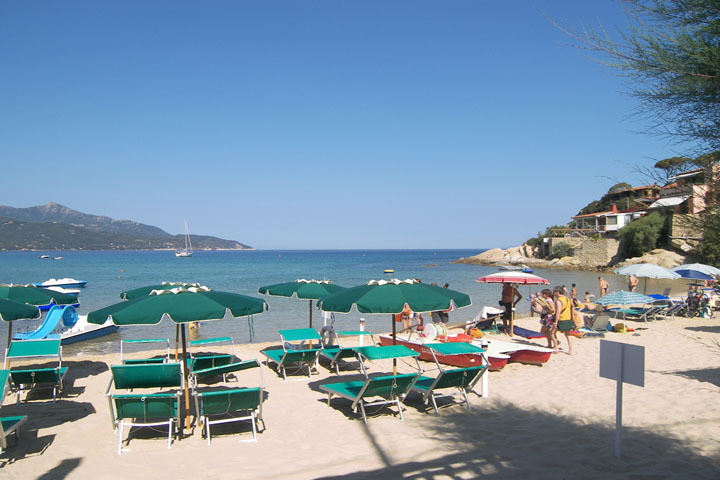 Moreover in few minutes you may reach the nicest beaches of the island. 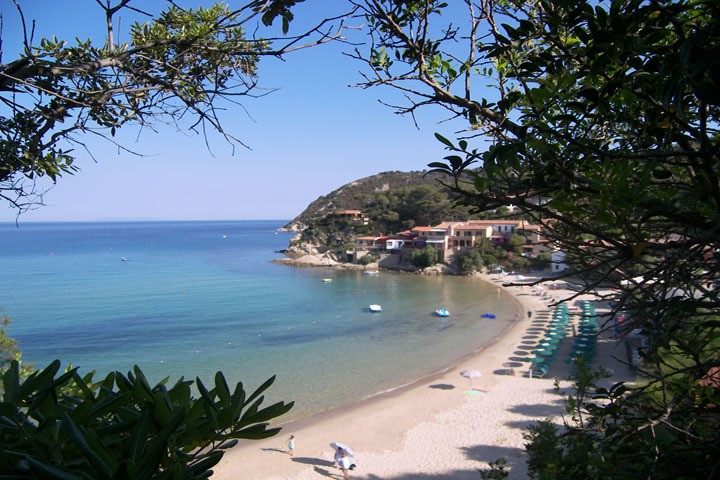 The mondan village of Marina di Campo is at 4 km. 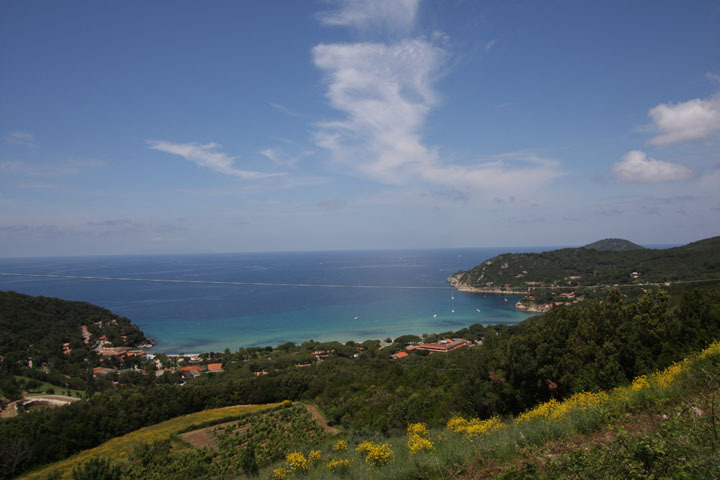 , the nice Procchio is at 6 Km. They both have shops restaurants, disco etc..